This is one of my favourite designs. It's simple, elegant, yet contemporary. I like the way that the pattern border can be used in a positive and a reversed way. A classic text style has been used to give an overall simple elegance. 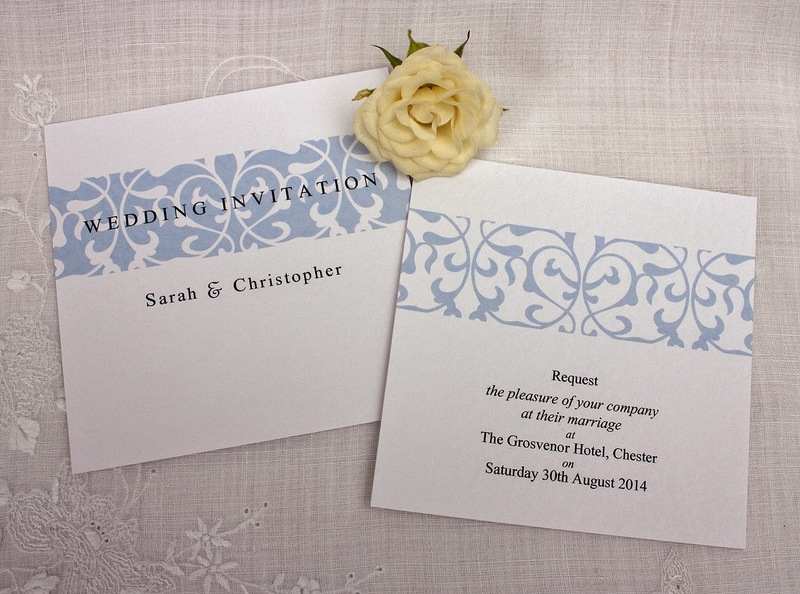 The design can be incorporated into a variety of invitation styles, and the colour can easily be changed to suit any chosen colour scheme. 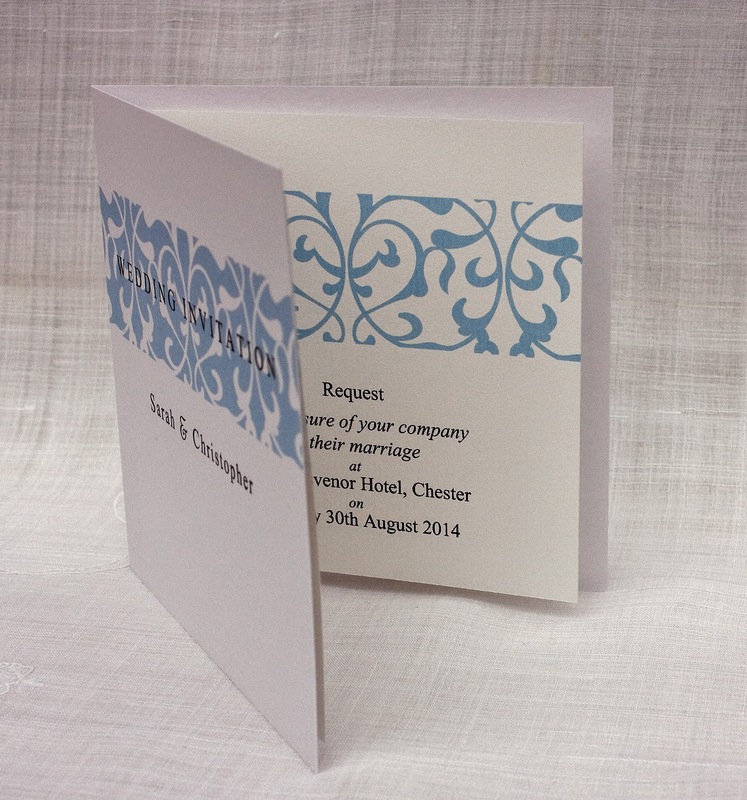 Here, I have used a white hammered effect card and designed a flat style and folding style invitation, with paper insert. 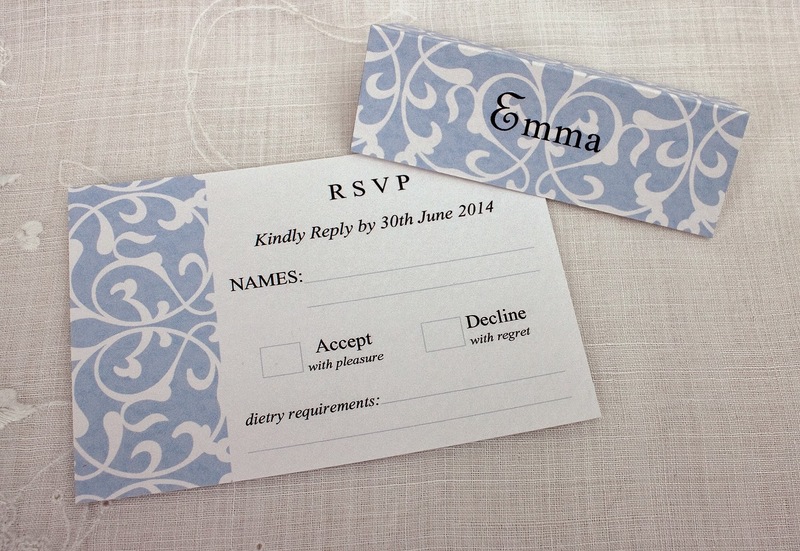 A place card and RSVP card has also been produced to show the versatility of this pattern.